It’s 2019. It’s a candidate’s world, and we are all just recruiting and sourcing in it. To source and attract the best talent in this day and age it takes a well-established personal brand, effectively managed relationships, and a healthy dose of creativity. Join Chelsi Molina, senior associate at BAYADA, on Wednesday, May 1 as she shares which methods are making the biggest impacts with her and her team. The best part? You don’t have to be a Boolean master to do it! Who Should Attend: Sourcers, recruiters, and talent acquisition leaders who want to increase their candidate engagement and strengthen the top of their talent funnels. Chelsi is her name, recruiting is her game. Over the last 10 years, Chelsi has developed a talent and a passion for sourcing and social recruiting. From finance, technology and now healthcare, she has extensive experience recruiting across different industries and markets. 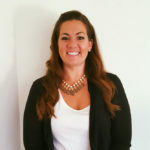 Chelsi has staffing and corporate sourcing experience. Currently, Chelsi is a Sr. Support Associate at BAYADA Home Health Care, where she provides talent acquisition training, recruiting social media strategy, and technology support across the company.